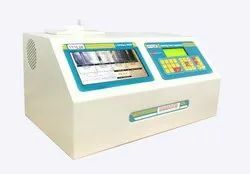 Measures melting point/boiling point of solid and liquid samples. Temperature range 0-300 degree C built-in stirrer. Three solid samples can be tested at one time. DOLPHIN® INSTRUMENTS IS ONE OF THE LEADING MANUFACTURER AND EXPORTERS. WE ARE ISO 9001 CERTIFIED. 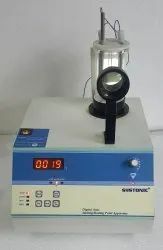 We are offering Melting Point Apparatus. Display: All operation is via the 7 high definition colour touchscreen. Interface design: The SMP50 has a custom designed user interface based on an established Android platform for intuitive setup and navigation. For determining the melting point of solid substances. (upper limit 250ºC) Consists of an aluminium cylinder (I x d), 50 x 63mm with a slanted hole of diameter 7mm on the top for inserting a thermometer. Can be heated on a burner. The substance to be melted is placed on the top of the cylinder. Melting point is noted when melting occurs.